Representative Kevin McCarthy, the House Majority Leader, announced his intention to introduce a bill this week that would fund all of the proposed border wall. According to CNN, Rep. McCarthy’s spokesperson said the budget expected in this case would be $23.4 billion. This is actually slightly lower than the $25 billion generally used as the cost to build all the needed sections. American Border Foundation is committed to delivering a secure border using whatever means are appropriate. While Congress isn’t delivering funds to DHS, then crowdfunding makes sense. If this bill were to pass, then we could shift into oversight mode and begin holding DHS accountable to get the border secured using that money. One of the reasons this organization exists is that for session after session, Congress men and women have gone to Washington on the promise of securing the border and then done something different than that. Our mission includes partnering not just with DHS but with any organization that is working to get the border secured. That includes not just the Department of Homeland Security/Customs & Border Patrol, but also the Sheriffs along the border and in the interior of the country, and the myriad of civilian groups working in pockets to do their part. Over the next few weeks we’ll be highlighting each of their roles in getting in keeping operational control of their various areas of the border, and especially what we as Americans can do to support them. There’s no guarantee that this bill passes. If it does it would be after changes in the makeup of the Senate. As a nonprofit, we don’t have an opinion on who anyone should vote for or what the makeup of a given legislative body should be party-wise. We will continue to execute this project, which is to provide DHS funds to use for building with, until they get them from somewhere else. As we make the first delivery to DHS in the end of October, we’ll be continuing to keep close track of this situation. This week we’ll be starting to expand our site to include pages for each of the groups involved and projects being worked on. Ultimately this site will be used to show America the status of each section of border and how we are doing at maintaining operational control of it. We expect that no matter where they get it from DHS is doing a good job at getting these projects done on time and on budget and that the improvements they make are having a noticeable impact in terms of crossings being prevented. We can also show America how the work being done is helping to impact America positively in other ways too – just like at the border we should see fewer illegal crossers, on the interior we should see fewer crimes by illegal aliens. We should see fewer crimes related to MS-13, and reduced crime overall as sanctuary cities become a thing of the past. We should see a reduction in expense related to providing healthcare to non-citizens (and an improvement in the level of service we all receive!) and public benefits to the children who are born here to parents who weren’t citizens at the time. We should see a reduction in expense (and an improvement in the quality of education our children receive) when we have fever non-citizen children swelling the enrollment of our public schools. 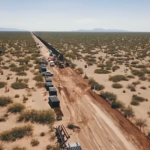 American Border Foundation is already working on the framework for correlating this data and creating the models to show America how we’re progressing together towards a more secure country and enjoying the resulting benefits – economic and otherwise. But first, we must take the steps necessary to get and keep the border secure. Arresting and deporting non-citizens is useless if they simply come right back in via the southern border. We cannot solve the heroin and cocaine and methamphetamine issues we have while it’s so easy for the cartels to ship in narcotics by the kilo through various overland routes. With your assistance, we can channel America’s resources to the places where they can be most effective at any given time. 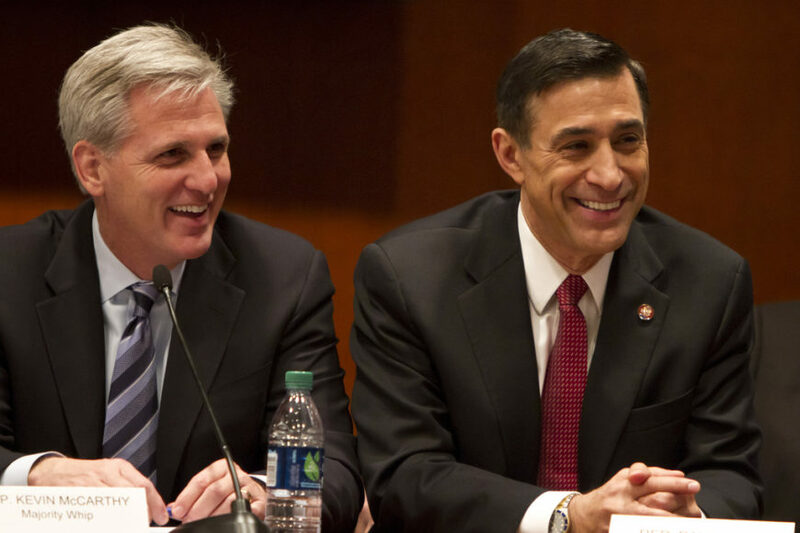 Until a bill like Rep. McCarthy’s is to pass, for right now that’s sending money to DHS. If and when it does, we’ll be looking at other organizations to work with beyond that.